To go along with the Maple Chipotle Barbecue Brisket Tacos we had this weekend, I made this unexpected salsa made from seasoned and roasted sweet potatoes. The recipe comes from Sara Foster's cookbook, Fresh Every Day. 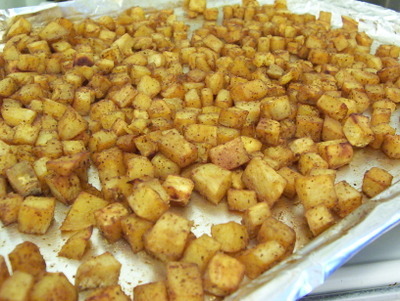 Place the sweet potatoes on a baking sheet with sides. 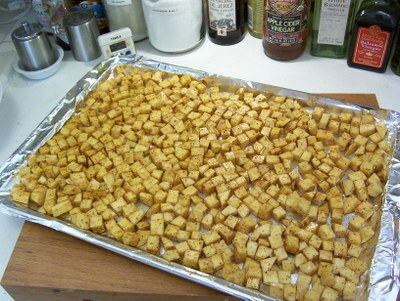 Drizzle with the olive oil and vinegar, sprinkle with the chili powder and cumin, and toss to coat. Spread the sweet potatoes in one even layer on the baking sheet. Roast the sweet potatoes for 30 to 35 minutes, stirring occasionally for even browning, until the potatoes are golden brown and tender. Set aside to cool. Scrape the sweet potatoes into a large bowl. 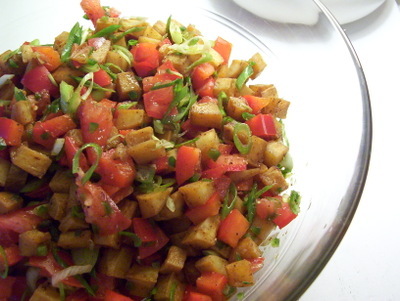 Add the tomato, bell pepper, jalapeno pepper, scallions, cilantro, lime zest and juice, salt and pepper, and toss to mix. Season with addtional salt and pepper. As I mentioned in the post about the brisket, the flavors of this unique salsa are a natural companion to the tender beef and the sweet smokey barbecue sauce. The sweet potatoes are hearty, the bell peppers are crunchy, and the tomatoes, scallions and cilantro freshen and lighten the whole thing up. 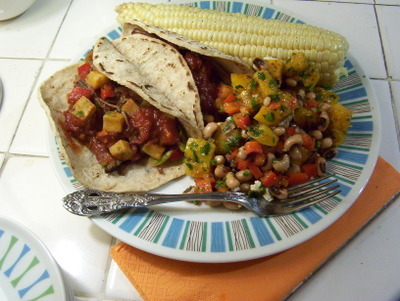 The book suggests using the salsa in quesadillas or on top of eggs. I think it might be great to finish off a plate of huevos rancheros. ating the proper food and getting enough rest goes hand-in-hand in preparing physically for bikini competitions.